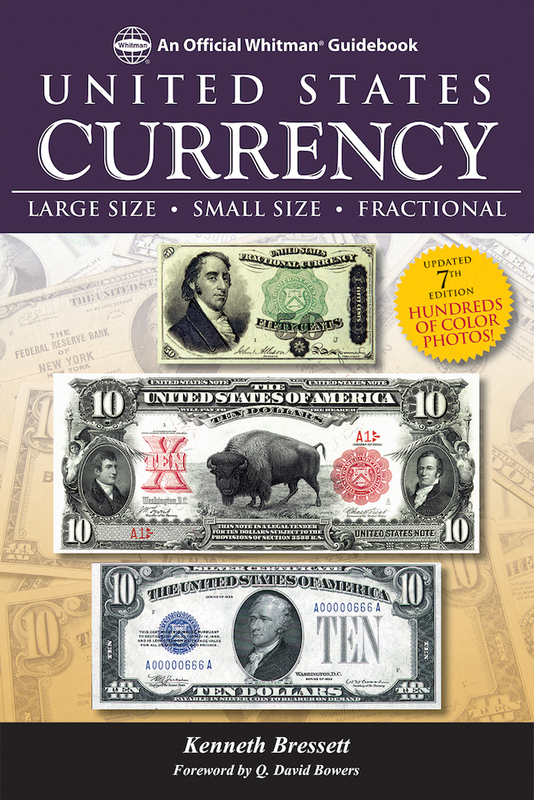 (Atlanta, Georgia)—Whitman Publishing has released the new seventh edition of the Guide Book of United States Currency, a guide to American paper money by Kenneth Bressett, former president of the American Numismatic Association and longtime senior editor of the Guide Book of United States Coins. The full-color, 352-page softcover book is available online (including at Whitman.com) and from booksellers and hobby retailers nationwide. It retails for $19.95.